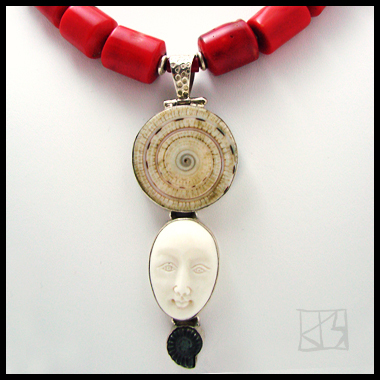 Ancient elements meet generational craftsmanship to bring a modern spirit to this one-of-a-kind tribal-modern piece! 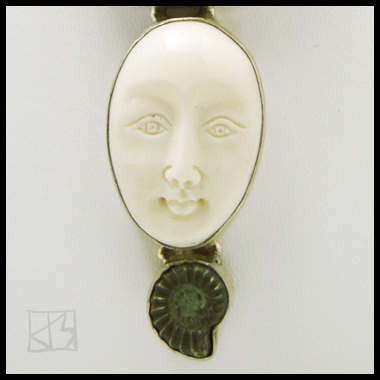 A lateral slice of Emperor shell exposes a Darwinian swirl of mesmerizing intricacy, a symbolic dream captured in sterling silver. It's set above a serene and benevolent face, carved in a tradition that passes along via generations among artisans in Bali. 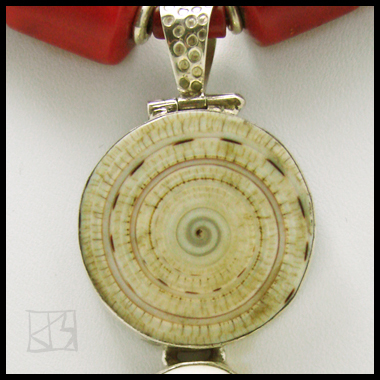 The third setting is a pyritized ammonite shell found only in the fossil formations of Russia. 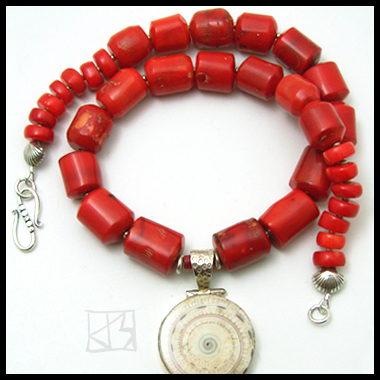 Natural red coral beads in graduating size and shape are separated by tiny sterling silver spacers, terminating with Thai silver scallop-shaped beads and secured with a decorative Bali sterling silver s-hook.